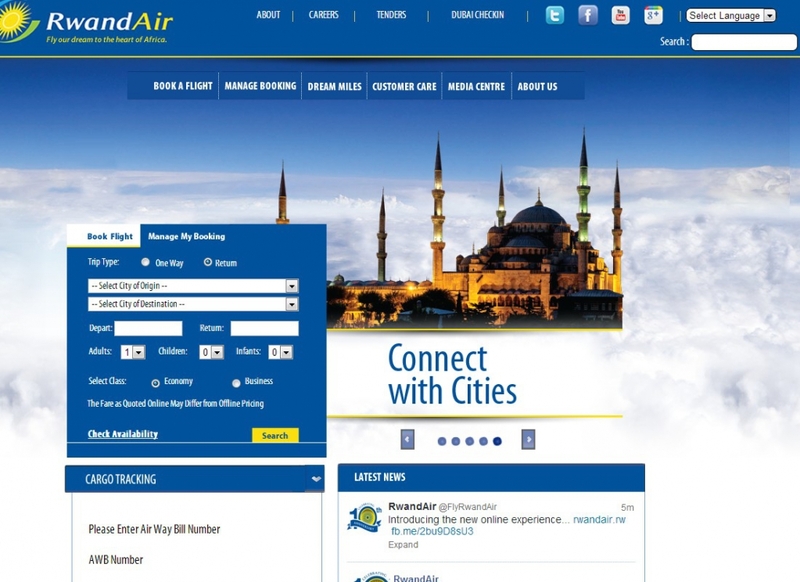 RwandAir is pleased to announce the launch of its new and fully-featured website mobile version @ www.rwandair.com. The new appearance of the website is sleek and elegant and is full of new and improved features, such as new imagery, all our social media pages integrated to the website (Facebook, twitter, YouTube and Instagram) which allows our customers to follow live feeds of our social media. 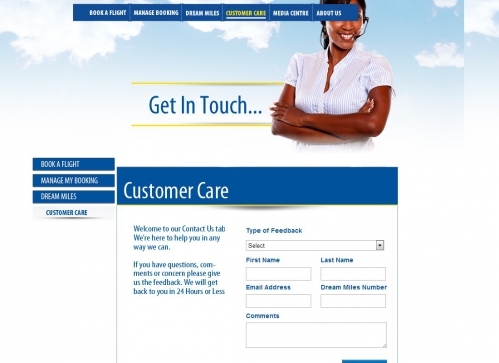 More importantly it is developed to make the site more user-friendly and encourage customer interaction. Being our number one marketing tool RwandAir’s website Mobile Version is designed to perfectly assist customers in every way to suit their travel needs. One of the website’s exciting features is the inclusion of live customer care so travellers can interact directly with Rwandair services. Customers can book and Pay using the improved online systems to take advantage of last minute deals. RwandAir continues to improve all aspects of its operations with new and refreshing ideas to keep our customers well informed and satisfied. Our goal is to always be easily accessible through interactive platforms with the main focus being on our customer’s satisfaction. Although it takes a little time to get used to the new website , the layout is good. On the previous version, there were many pages with broken links. The fact that the website can be translated in various languages is a very good thing. RwandAir serves various countries where English is not the main language (Gabon, United Arab Emirates, Burundi,...). Although the airline could publish more articles, the adding of videos and photos is very interisting. The possibility to read the inflight magazine online, is a good point. Probably the main weak point of the airline. Many passengers struggle to contact the airline, to ask questions or to complain. RwandAir has now an entire page dedicated to the customer care. The page is now available, it was not the case on the previous version. A good thing. Informations about partners are still uncompleted. 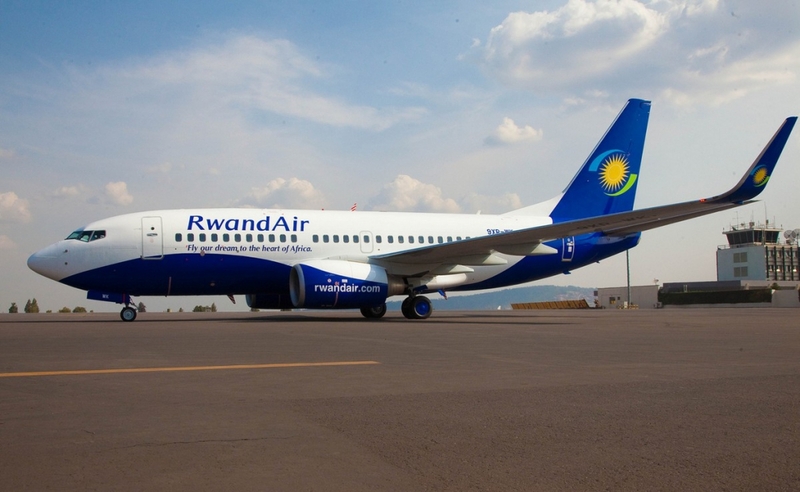 Turkish Airlines and South African Airways are now RwandAir's partners via a code sharing agreement, the information is not on the website. Kingfisher Airlines has suspended all flights, but on RwandAir website, the airline was not removed. The page which gave informations about the maintenance on RwandAir planes was removed. It's not probably the most important thing on an airline website, but it's shame that the page was deleted. It will be good thing to provide a such option. We can do it with the cargo. It's probably in project. Rwanda could provide a mini guide about its destinations.